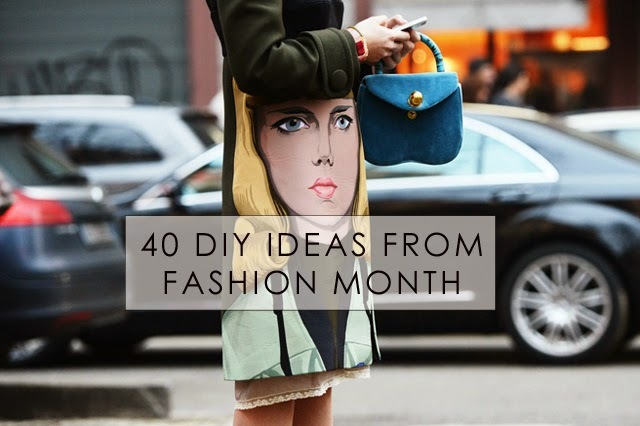 Here are 40 DIY fashion ideas inspired by Fashion Month street style and fashion shows. This should keep you busy until spring. Which will never really get here. Above, put a face on it like Prada. 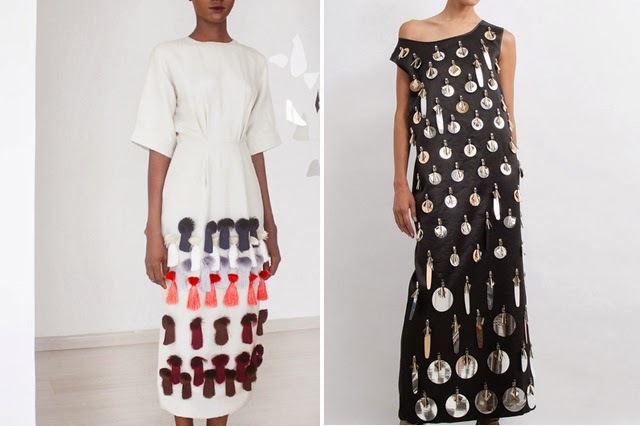 Apply your rag rug making skills to a top or skirt like Altuzarra. 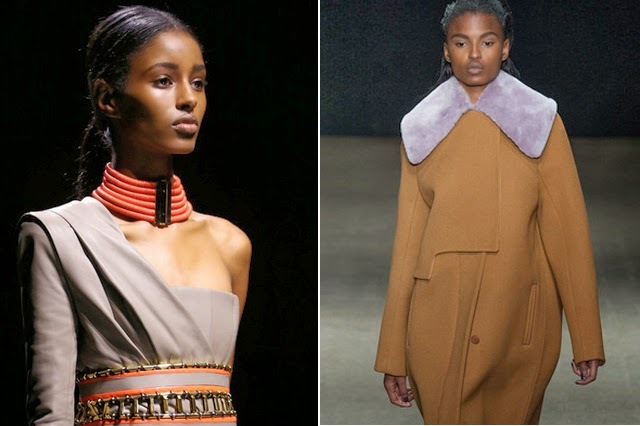 Make a layered collar necklace like Balmain or an oversized faux fur collar like 3.1 Phillip Lim. 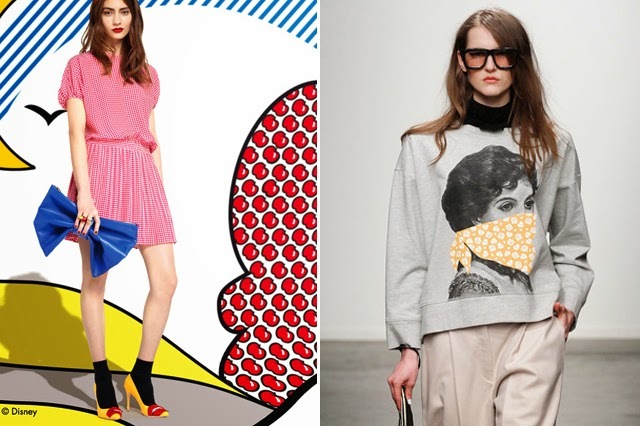 Love this one: Draw on your white skirt with a sharpie (or embroider eye lashes on your sweater) like Band of Outsiders. Already done the pom-pom sweater? Do it again but make the pom-poms linear like Brandon Sun. 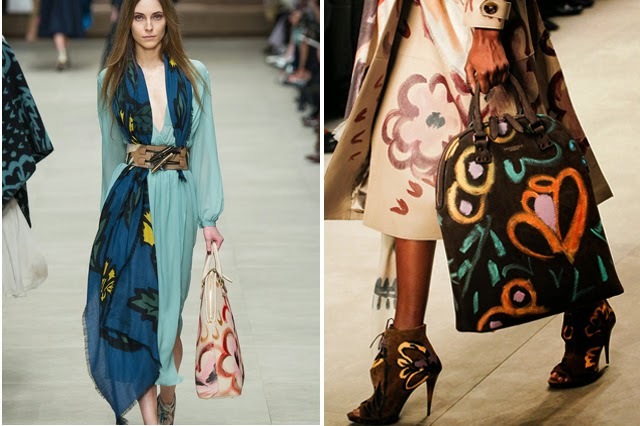 Wear your scarf asymmetrically and tucked into your belt and paint your bag or coat like Burberry Prorsum. 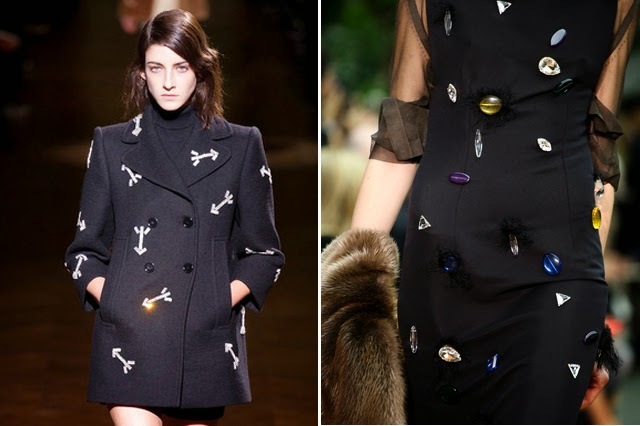 Make shiny arrows out of rhinestone trim and embellish your coat like Carven. Add HUGE faux gemstones to a little black dress like Celine. 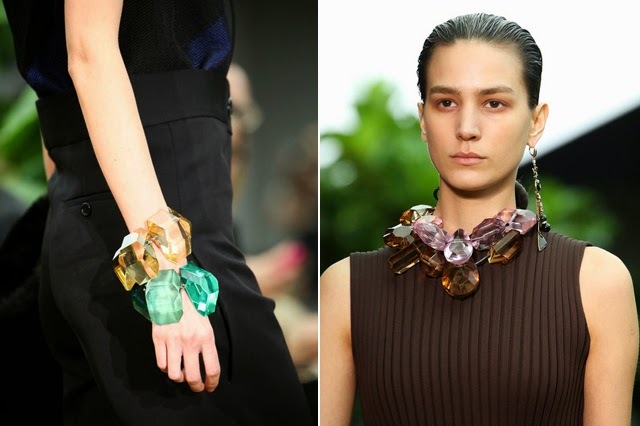 More HUGE faux gems - as a bracelet or a necklace, both from Celine. Brighten up your bike lock and turn it into a necklace like Chanel. 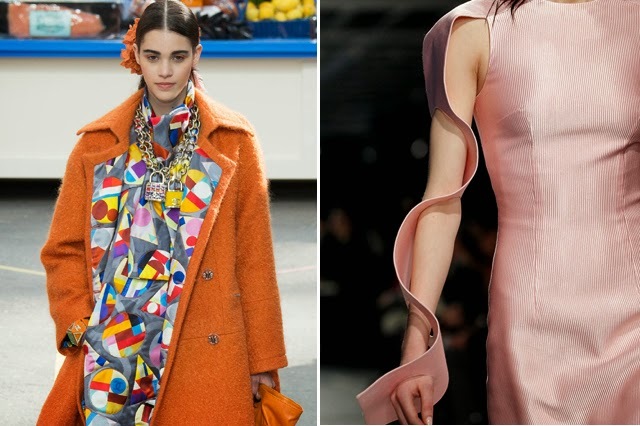 Sew an extremely inventive sleeve like Christopher Kane. 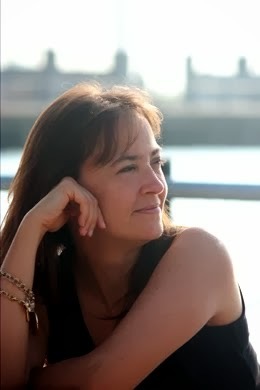 Turn belts into bracelets or mix bits of several sweaters into one like Cynthia Rowley. 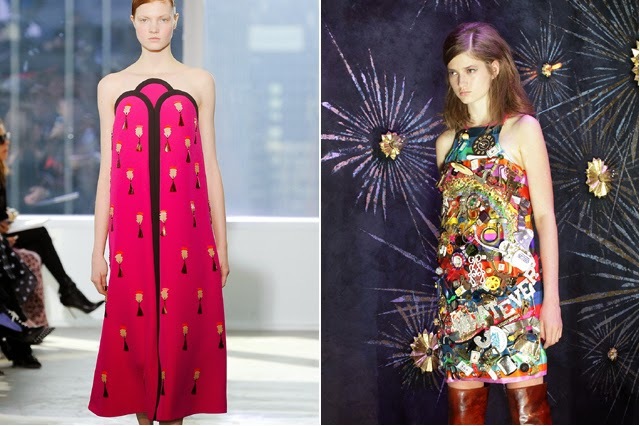 Embellish a dress with sequins and tassels like Delpozo. 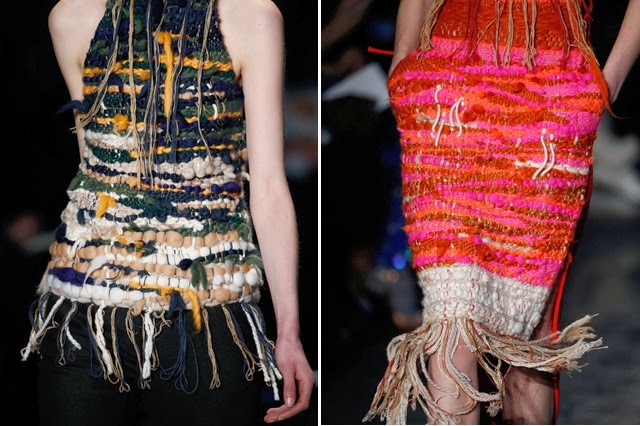 Or embellish a dress with the contents of your junk drawer like Cynthia Rowley. 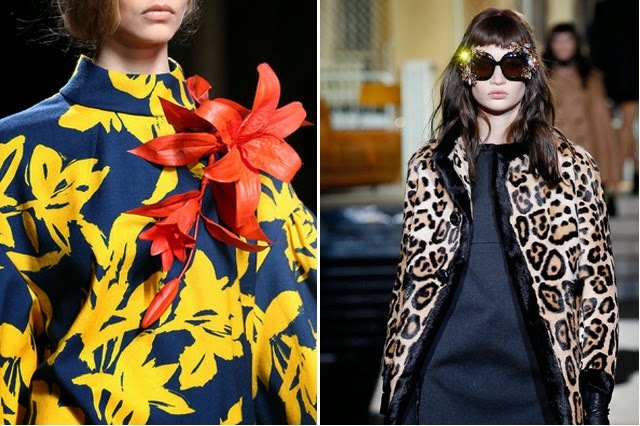 Dig out some 1980s silk flowers and turn one into a brooch like Dries Van Noten. (Update: Honestly just did this one.) Excessively embellish your sunnies like Dsquared. 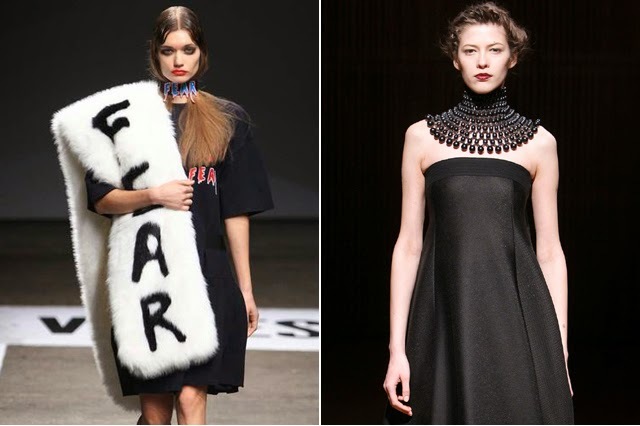 Make a collar necklace in an unusual shape or make a simple round shape and add a few HUGE gems like Emporio Armani. 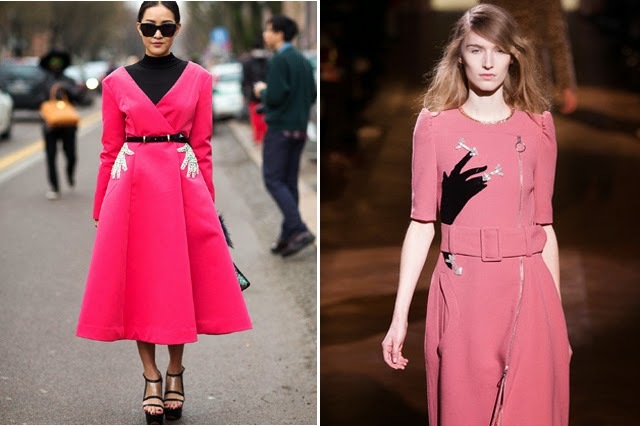 Applique your dress with a glove like this fushia number seen via Harper's Bazaar street style or the pale pink one at Carven. Make sequin flowers for your collar like Honor. 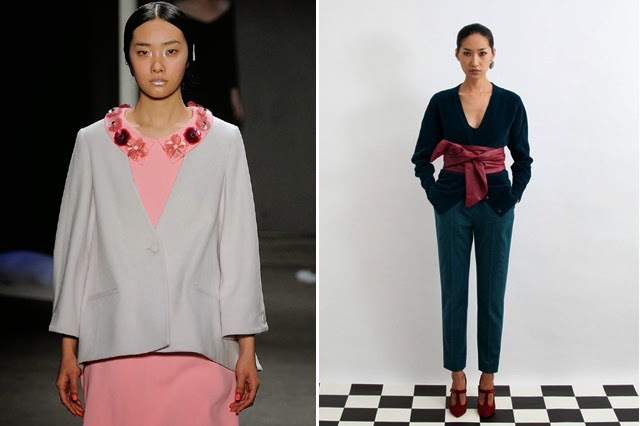 Or tie a sash over your cardigan like Isa Arfen. The wordy clutch was everywhere. 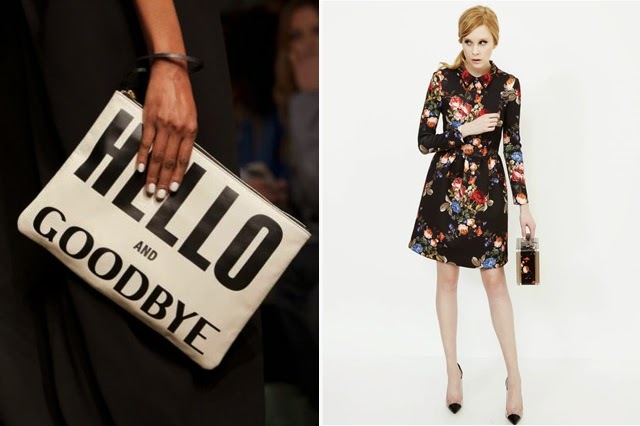 Try something like this from Karen Walker. Or add floral contact paper to a kid's lunch box to make a bag like this one by Erin Fetherston. Add layers of soft tassels to a dress like Maki Oh or add a million big sequins like Isa Arfen. Cut a slice from your skirt and add a sheer fabric like NoNoo. 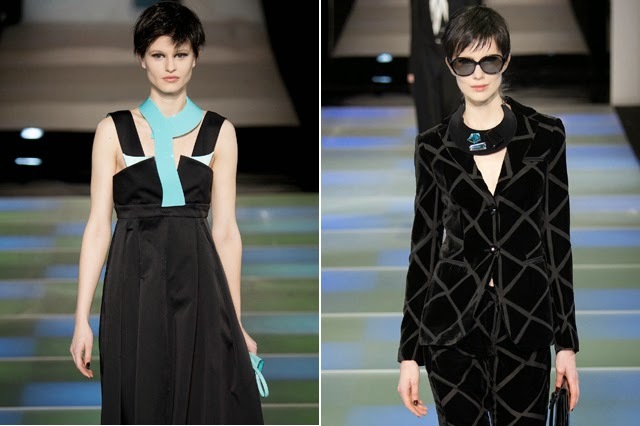 Or mix two fabrics together like Oscar de la Renta. Put lips on your shoes like Red Valentino. Add a bandana to your shirt like Karen Walker. 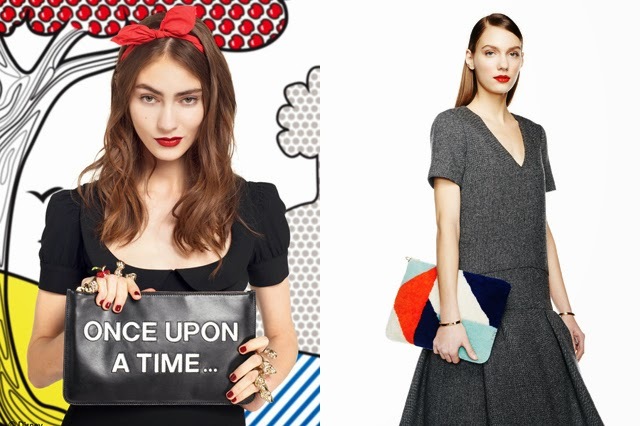 Add fringe to a clutch as seen by Tommy Ton. Macrame or crochet a choker or unusual scarf/harness like Tse. Make a wordy faux fur (with a more cheerful message) like Vfiles. Elevate the big bead with a necklace like this one from Josie Natori. 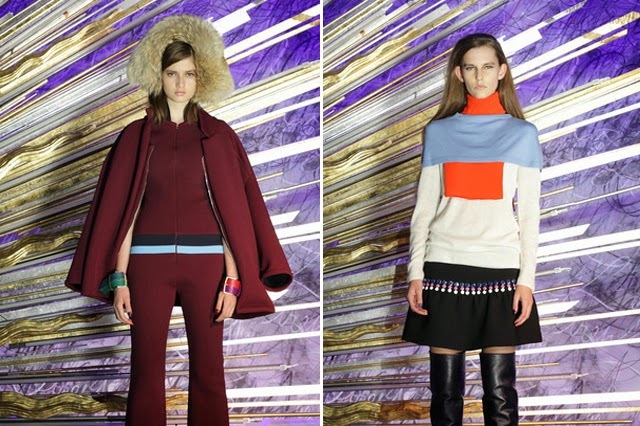 Did you see anything great and inspiring during fashion month? Personally, I think something with HUGH faux gems is going on my to-do list. Well, making a junk-drawer dress is a pretty tempting idea....!!!! I never would have believed that these outfits were actual runway fashion if you hadn't said so! Some are stunning and some are . . . strange. definitely considering the asymmetrical scarf idea. love how you pointed out all these DIY possibilities.